“Goat people” love to collect all kinds of goaty items. 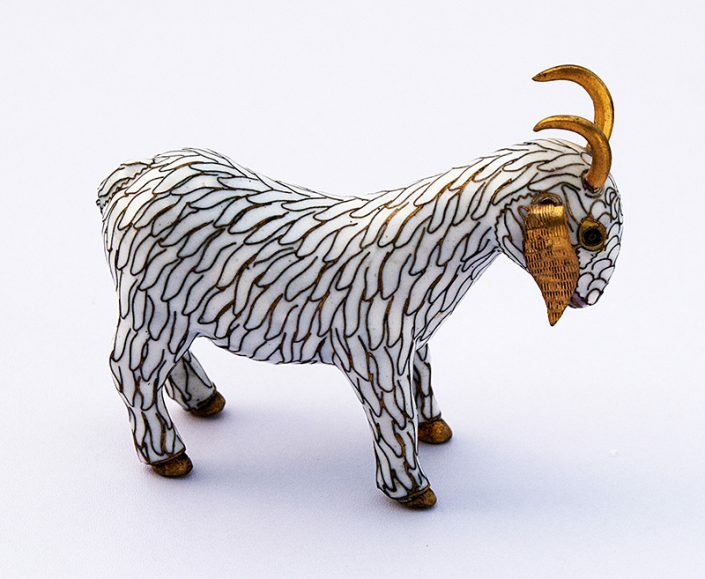 Enjoy this collection of some of Jennifer’s favorite goat art pieces collected over her 45+ years of owning and loving dairy goats. 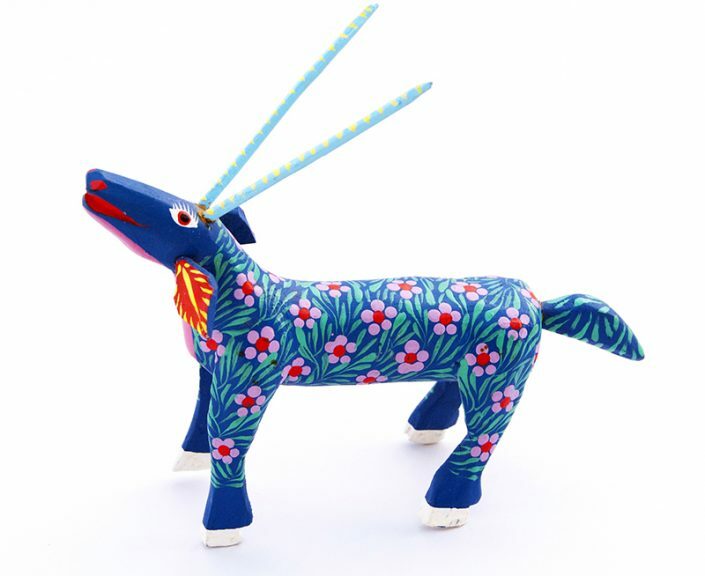 Hand carved and brightly painted goat from Oaxaca, Mexico. 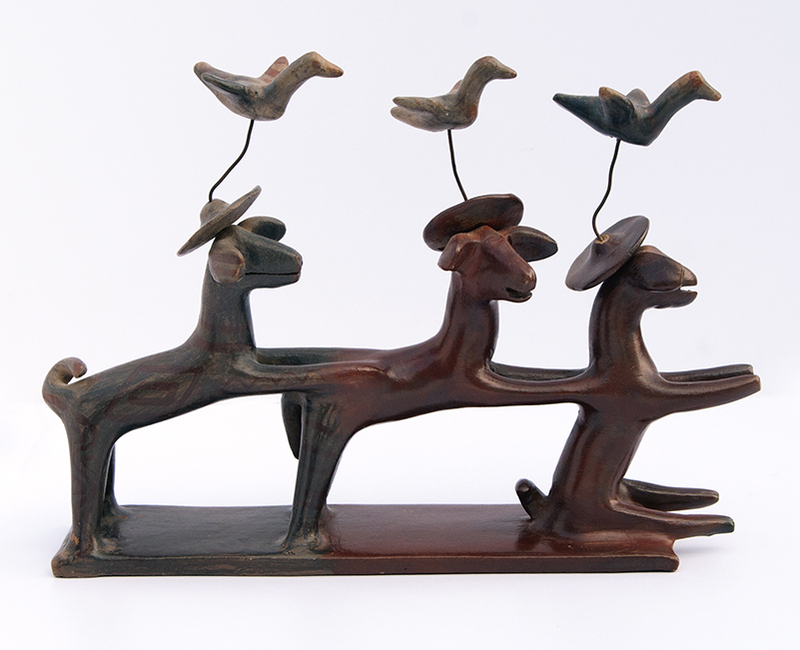 Having always loved the fantasy carved animal folk art from Mexico, Jennifer was thrilled to find this piece in a museum shop. Exqusitely hand carved goats, made in India. 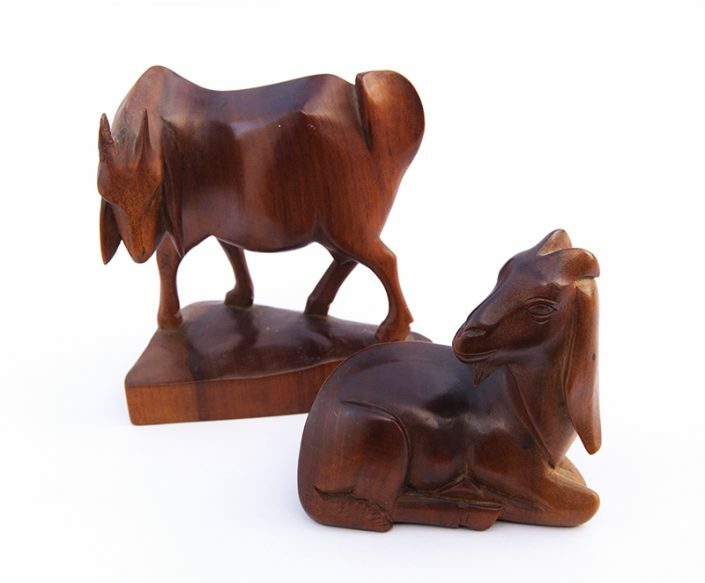 This pair was in a treasured collection of Jennifer's mom and co-founder of Redwood Hill Farm, Cynthia Bice. The pair was collected many years ago. 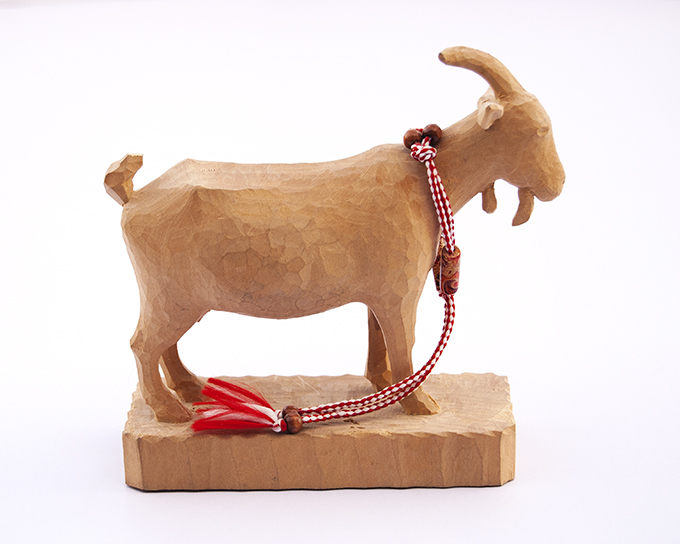 Jennifer found this handcarved & detailed wood goat at the airport gift shop in Sofia, Bulgaria. The rope she wears is the hand braided “Martenichka”, a good luck symbol that is put on the wrist on March 1 and then removed and draped on a tree when the first spring blossom is noticed. 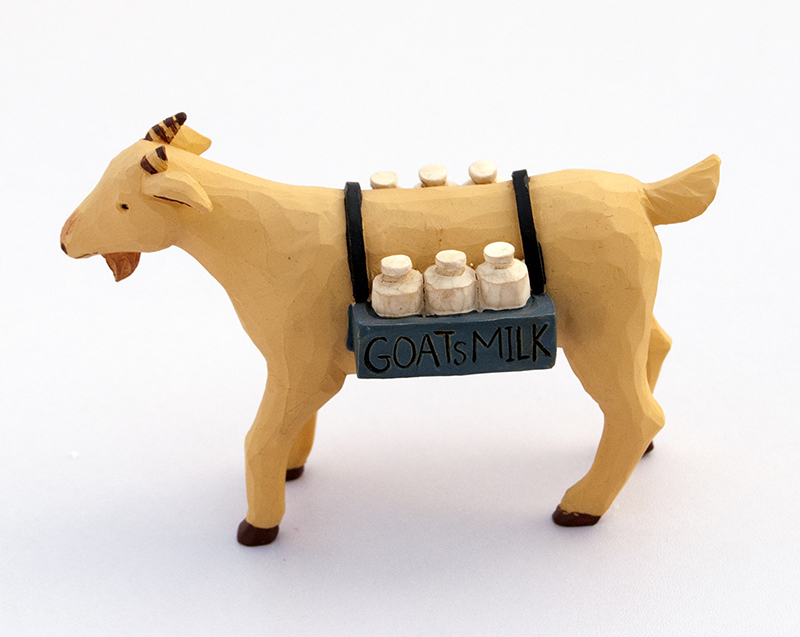 This sweet, hand-carved and painted wood goat is special—she's toting fresh goat milk in her pack. This small painted pottery sculpture was a gift from Maggie & David Schack, parents of Jennifer's late husband Steven. David & Maggie sold Redwood Hill Farm products at the Santa Monica Farmer's market for many years. This uniquely detailed and finished cloisonné goat was a treasured gift, made in Thailand. 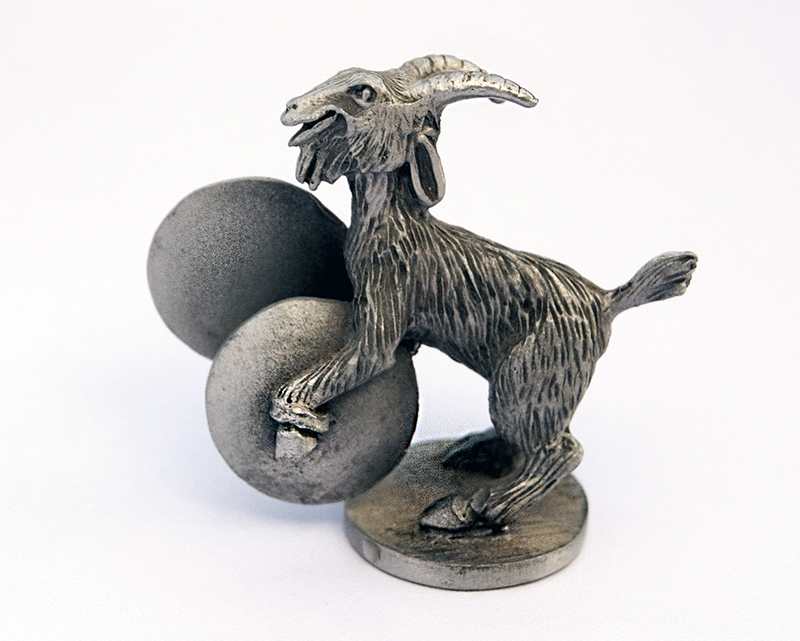 Purchased at a gift shop about 20 years ago, this tiny pewter piece was part of an orchestra set of different animals. Of course Jennifer had to have the sassy goat playing the cymbals. 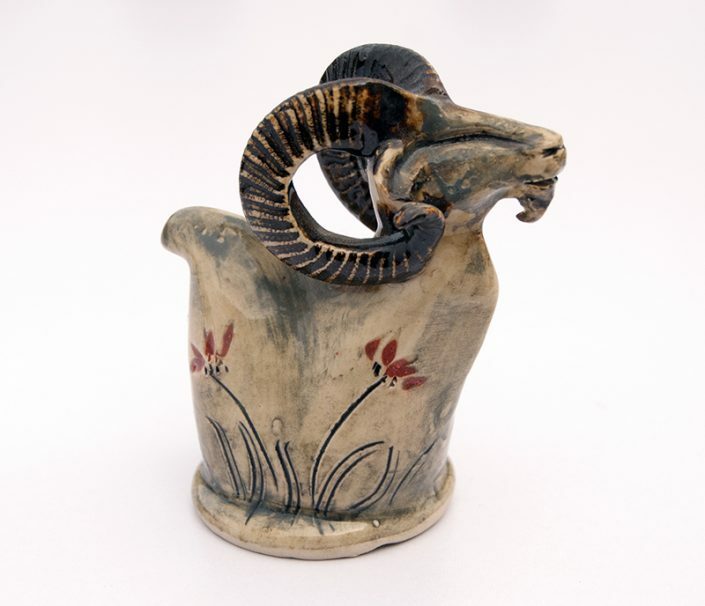 This is a rustic but beautiful hand-built and glazed goat with his full set of horns. 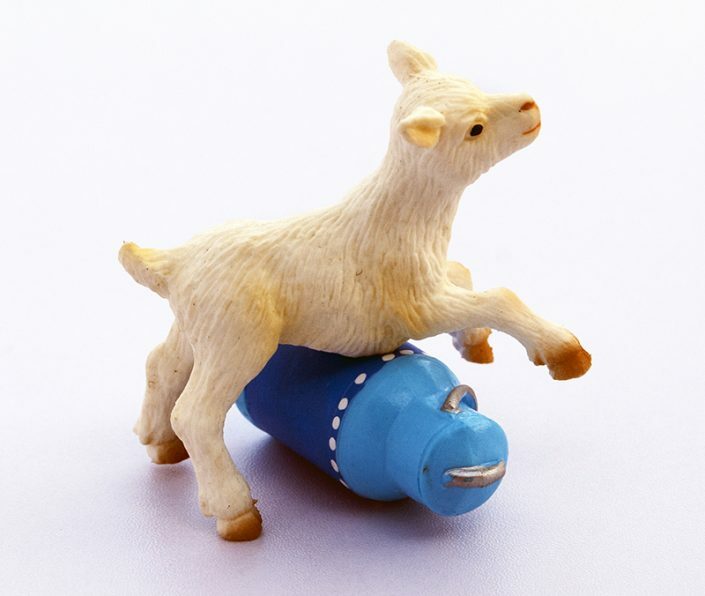 This cute plastic toy goat kid seems to be playing on or jumping over an overturned milk can. 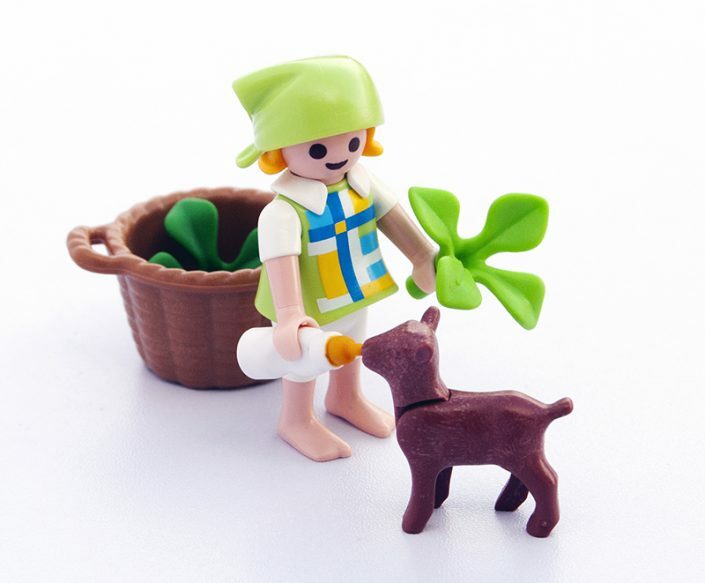 A Playmobil® milkmaid feeding her goat kid. 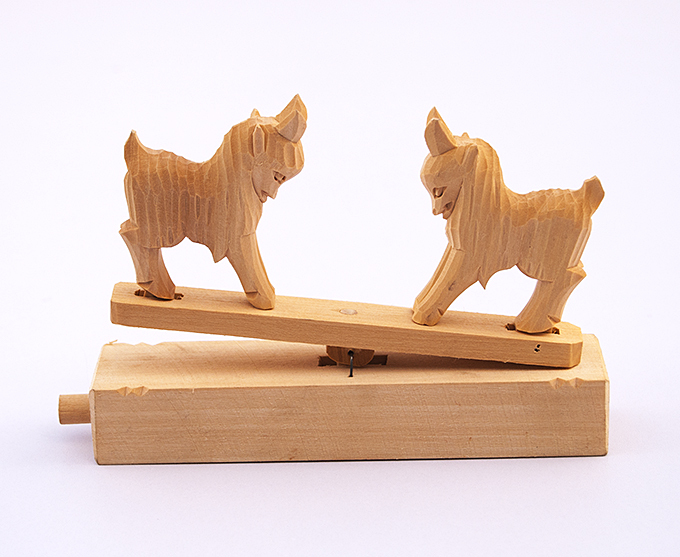 This toy was part of a farm set and was probably left at the farm by one of Jennifer's many nieces or nephews. 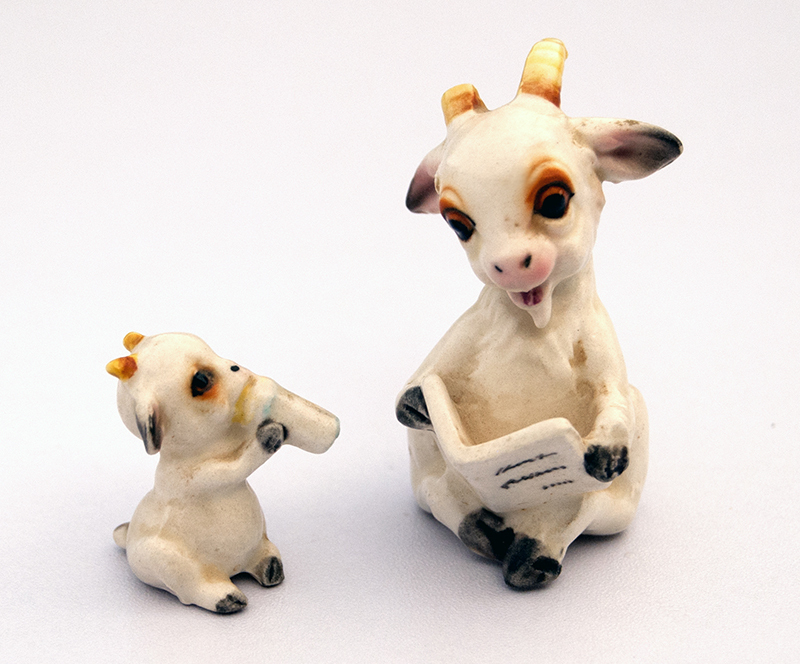 This diminutive, sweet ceramic figurine set was one of the very first in Jennifer's collection, when goat figurines were somewhat rare. 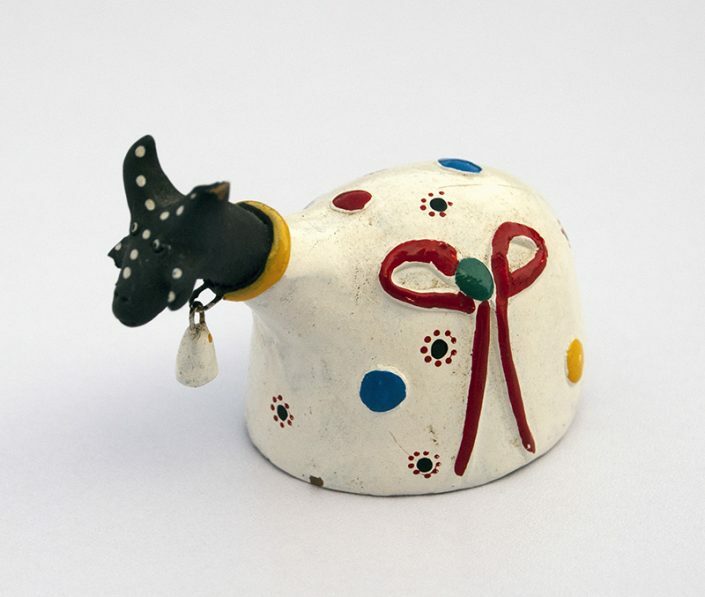 Hand built and brightly painted clay from Mexico, this figurine was a gift from nephew Geoff, and his wife, Anne Wilcox. It is one of the newest figurines in Jennifer's collection. 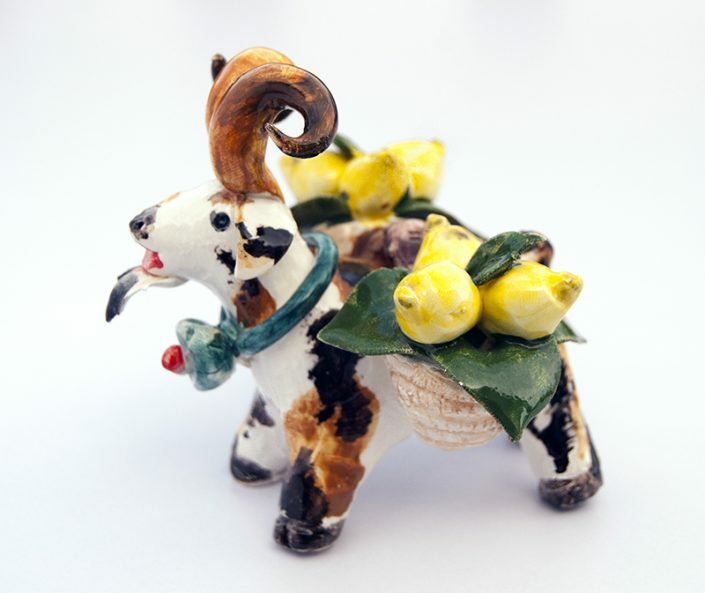 A very unusual hand-painted clay piece, this goat sports a sweetly painted bow and little bell around her neck. This finely made trio of porcelain figurines is unique in that it is rare to see true, correct breed type. 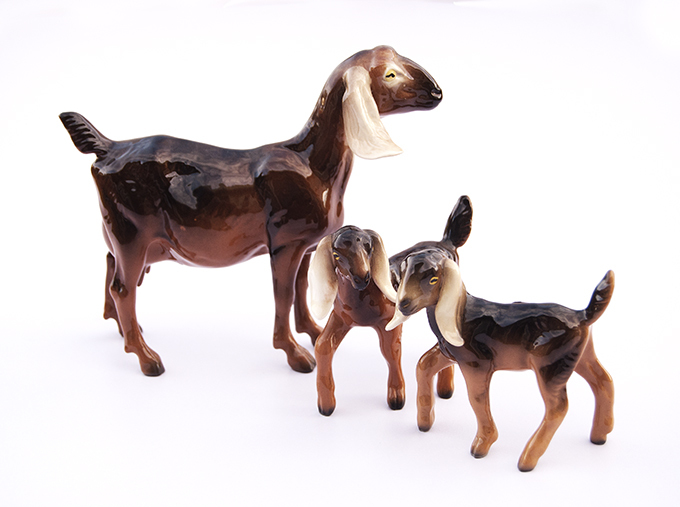 This grouping of a Nubian doe and her twin kids has been in Jennifer's collection a very long time. 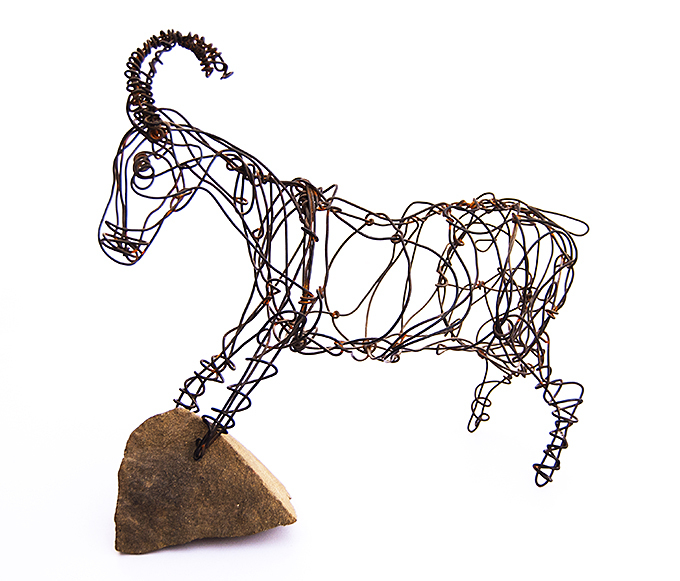 Made by artist Ismael Sanchez, Jennifer found this art piece at the Boonville Hotel in Boonville, California where they had multiple animals, including lifesize wire sculpture pieces in the garden!